David Glantz’s To the Gates of Stalingrad is the first of a three book trilogy that catalogs the intense German-Soviet battle for Stalingrad in 1942-43. The book details the failed Soviet offensive toward Kharkov in spring 1942, the German spring offensive (Fall Blau, or Case Blue), and the German 6th Army advance to Stalingrad. The book is in line with Glantz’s other works that attempt to prove his common thesis: that the Eastern Front was the decisive theater of the World War II. The book represents Glantz’s unmatched ability to chronicle the battles for the Eastern Front from strategic, all the way to the tactical level. One paragraph might detail orders from the Soviet Stavka (the Soviet general staff) to a front (army group) and field armies to attack a German corps. In typical Glantz fashion, the next paragraph will explain how a German division reacts to the attack through its subordinate regiments and battalions. A whirlwind of information brings the reader the action through actual situation reports from both sides of the battle. The author’s career as an Army officer supports his writing. He worked as a Soviet military expert at the Soviet Studies Office at the Combined Arms Center and the US Army War College in the 1980s and 1990s. As a speaker of Russian, he was among the first westerners to pour over former-Soviet archives in the early 1990s. Poor Russo-US relations have diminished access, but Glantz’s relationships with Russian archivists has permitted him to use Stavka records and the captured records of the German 6th Army. This access is critical because Soviet sources and Red Army memoirs were altered to protect Soviet prestige after the war. The book soundly disproves some taken-for-granted facts about the Eastern Front: that the Soviets defended by trading space for time, and that the German offensive had overwhelming combat power. He proves in meticulous detail that Stalin, through the Stavka, repeatedly ordered Soviet commanders to attack the German 6th Army from June-September 1942. Space was not traded, German forces defeated counterattacks and 13 Soviet Armies – destroying countless divisional formations in the process – on their advance into the southern Soviet Union. Glantz also notes that German armored divisions slated for Fall Blau were only brought up to 85% strength while other divisions were only replenished up to two thirds of their authorized strength. There book does have weaknesses that cannot be overlooked. The book is almost too detailed. At times it reads like a chronology of the battle transformed to sentence format. 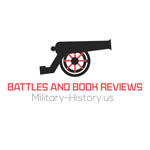 The book is essentially a reference that captures the battle in so much detail that it is beyond consumption for most military history readers. Much of the battle took place deep in the Soviet Union in localities with names that are alien to western readers. One must almost read while seated next to a wall map of Western Russia for reference. A second major weakness of the book is that it uses primary sources for map illustrations – both Soviet and German. Both armies used different systems for military map symbols that are nothing like the US/NATO symbols that readers likely understand. The author could have created his own easily-understood illustrations that match the points made in the text. It is difficult to imagine another author releasing a better book about the initial portion of the Battle of Stalingrad. Glantz’s research strongly supports his common thesis on the primacy of the Eastern Front in a trilogy that provides reference for military historians. With that said, the book is excellent, but it leaves open a market for less detailed and more easily read books on the battle.